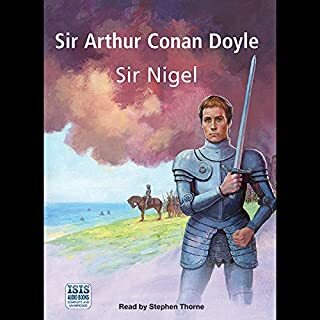 Set in the middle of the 14th century, Sir Nigel is a swashbuckling story of the eponymous hero as he seeks his fortune and the hand of his lady-love in England and France in the early part of the Hundred Years War. It is full of high romance and chivalry, battles and brutality, humour and sheer rumbustiousness as the impoverished Nigel Loring and his lascivious attendant Aylward seek their fortunes. Historical fictionn at it's best. 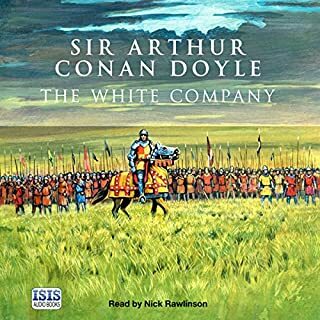 Along with The White Company, Sir Nigel, written by Arthur Conan Doyle, tells of battles, chivalry and honor in the Hundred Year War between France and England. It is full of details of interest to us even seven centuries later. The narrators do a wonderful interpretation of the books. I enjoyed both very much although their styles differed. So many wonderfully rich characters in this story will give you hours of peaceful listening pleasure. Prunella Scales was a testy wife in Faulty Towers, the great bbc comedy. As a narrator though, she is able to mould her beautiful voice giving life to each character in the book. Male or female, young or old each with a distinct tone. She is amazing. Meet love, envy, greed, ambition, death, beauty and class distinction. 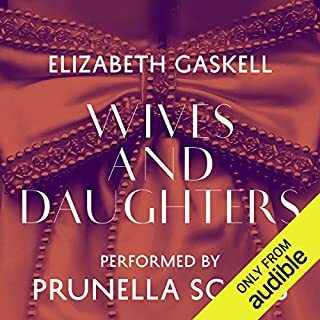 The best Elizabeth Gaskell novel. 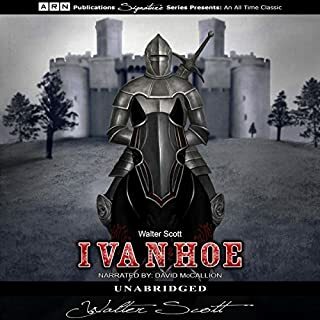 After reading the White Company, which I found very enjoyable, I also loved this rendition of the classic story of Ivanhoe. The narrator delivers the story in a soothing voice. I recommend it without reservations. Chivalric High Jinks, by My Ten Finger Bones! The narrator Nick Rawlinson made this great old book of knights and chivalry very enjoyable. His ability to sound the various accents both male and female is astounding. This is the best 13th century tale I know. I am lucky to own one of its early printed editions which will be fun to read again despite the small print in the hardback. 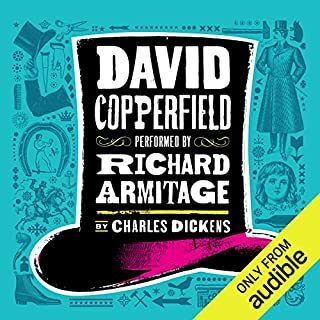 Richard Armitage's performance is brilliant. In my mind, it is even better than Romeo and Juliet, if that is possible! It is a wonderful story, full of characters and plots. You will need to reach on the bookcase for the old book to refresh your memory of the names the author playfully invented, all so fitting to the characters. The language is rich and powerful. What a treat to revisit this jewel. Enjoy! 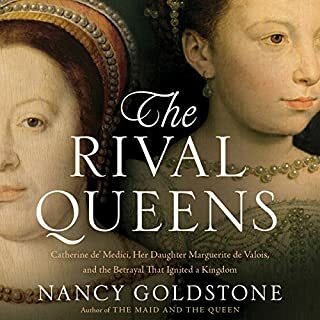 I enjoyed this book so much that I reread it within a short time and will probably read it again, especially since biography are my favorite subject. It has substance, virtue, information. Machiavelli is regarded as having a shrewed and sarcastic bend. The author makes a great addition to the book by starting each chapter with one of his comments. The story takes place at a very interesting time in Europe when religion was playing a major role in the kingdoms. The reader has a soft, beautiful voice. So beautifully narrated it will not disappoint you. 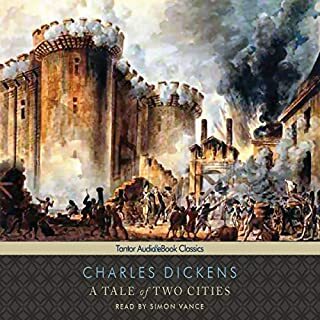 A must on the reading list for high school students, it is perhaps enjoyed even more by an adult with a love for classics. An aristocrat flees France to settle in England during the French revolution and pays for his ancestors' ill deeds. Charles Dickens, a master writer of his age, satisfies a keen reader to this day. Even in 2017 one can see the sad traits of human nature. I loved hearing Simon Vance's interpretation of the characters in this touching tale. I would give the book a higher rating if it were not for Lucy Rayner's annoying tone. Her voice at first so sweet made me imagine the Queen's own young voice. Later as the Queen aged, I expected a more stern and serious tone. documenting events through the long reign successfully. 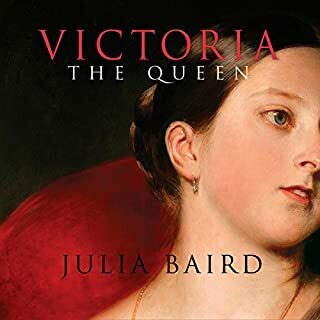 The fact is that much more could have been written about the Queen's life if only her surviving family had not selectively destroyed the Queens personal correspondence. Fortunately, some documents, which were supposed to be disposed off, were not. It reminds me of how the letters Mother Theresa wrote to her Bishop to read and burn, were found saved and published after her death. If only survives of famous people would be more forgiving! The author is a journalist from Trieste, Italy. 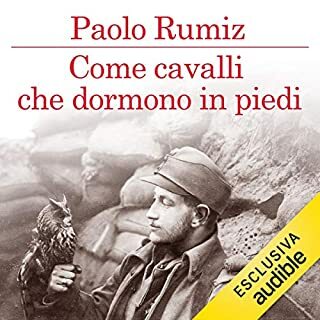 He is visiting Redipuglia, a neighboring memorial to the fallen soldiers in the WWI, describing the absence of names from Trieste. He takes us on a search from Austria to Eastern Europe to find out what happened to the young italian recruits who were called up to fight for the austrian emperor. We discover a region called Galizia under the austro hungarian empire. In total 400,000 died in the Carso during the WWI. The book is well written. 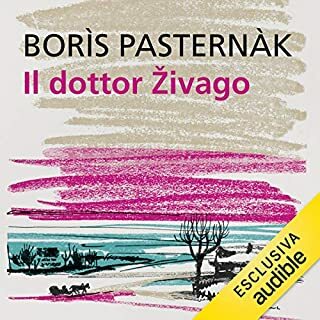 Again I enjoyed the narrator even though he could not master the triestin dialect! It is interesting how the map changed after 1918. It is a sad story, which the author needed to tell. He does praise the modern Austrian attempts to honor the many burial grounds of unknown soldiers of WWI, and the austrian authorities help in his endeavour. What a pleasure to read this great book in the first translation from the original Russian.